Discover everything there is to know about THE LEGO (R) MOVIE 2 (TM) with this totally awesome guide to all the characters, vehicles and locations. 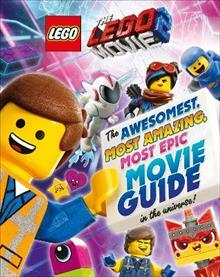 The ultimate companion to the highly anticipated THE LEGO MOVIE 2, this book explores the heroes and the villains you'll meet in the... read full description below. Discover everything there is to know about THE LEGO (R) MOVIE 2 (TM) with this totally awesome guide to all the characters, vehicles and locations. The ultimate companion to the highly anticipated THE LEGO MOVIE 2, this book explores the heroes and the villains you'll meet in the movie. Packed full of exciting and informative text, plus illustrations of THE LEGO MOVIE 2 sets and minifigures, this book provides everything you need to know about THE LEGO MOVIE 2. (c)2019 The LEGO Group.